Gely Korzhev. 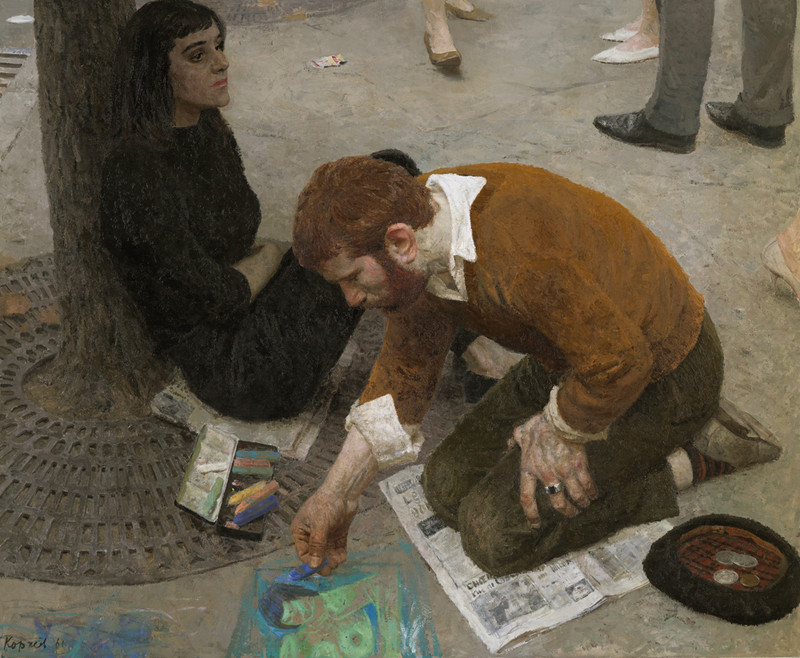 The painter, 1961. Gely Korzhev finally gets his moment in the sun. The Tretyakov Gallery’s branch on Krymsky Val, which hosts a collection of Russian avant-garde and contemporary Russian art, has opened the first large-scale retrospective of Gely Korzhev’s work. The museum's director Zelfira Tregulova has described Korzhev as the "last great Russian realist." More than 120 paintings from 1943 to those finished not long before the artist's death in 2012 have been collected from Russian museums and private collections. About 30 works came from Raymond Johnson's private Museum of Russian Art in Minneapolis. "For me, the exhibition 'Socialist Realisms' in Rome in 2011 was a very important exhibition due to a combination of the place and works," Tregulova told RBTH. Seven works by Korzhev were displayed in Rome among lush architecture and Tregulova says that this exhibition showed her what a great master the artist is. “I started to work on the retrospective three years ago in collaboration with the museum's staff when I was not yet the director of the Tretyakov Gallery,” she says. “The master should have been shown in his full might a long time ago." Korzhev was born in 1925 and worked in Moscow. He is a representative of the so-called "austere style," an artistic movement that emerged in the USSR in the late 1950s. The movement's artists were characterized by their realistic style and themes devoted to the war and the everyday life of the Soviet people. The retrospective at the Tretyakov Gallery includes not only works from the "austere style" period, but also still lifes, nudes and more recent works, in which the artist turned to mythological and biblical themes. The exhibition runs until June 14.